So here it begins, the first of January! I’ve seen a few friends do this with amazing results, so I though I’d give it a try. The plan? A photo everyday for a year, hopefully I’ll see some improvement in my photography skills and I’ll definitely learn how to use my new SLR quicker! 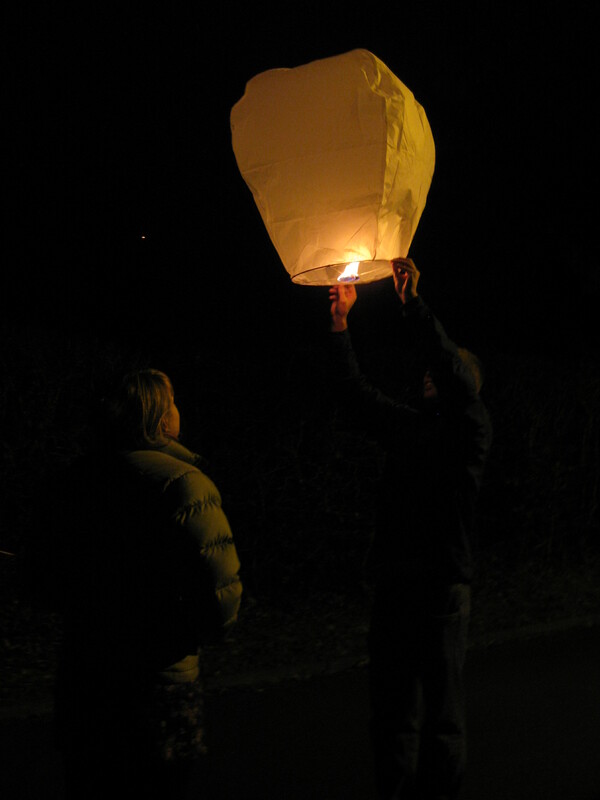 This is a photo of my Sister and her boyfriend from this morning when we set off our Chinese lantern for New Years. There we so many in the sky, it was gorgeous, apparently we weren’t the only ones who thought of the idea!